HTC One M8 is one of the flagship devices in Android world. By default, HTC limits the access to advanced functions of One M8, claiming this is good move for end users. However, with these limitations, you are unable to control certain aspects of the device. What’s more, some phone carriers are notorious for blocking competing apps. And you can’t stop phone manufacturers' bloatware apps that eat up precious flash memory. Why not root your One M8 to enjoy more freedom? 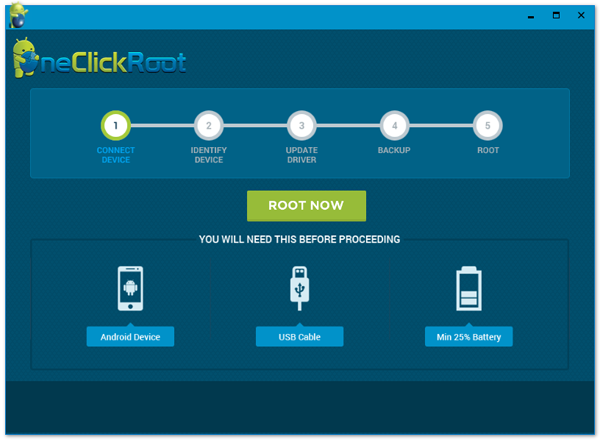 In the following tutorial, I will use AnyRooter Android Root Pro to root HTC One M8 as an example. The program takes care all the things for rooting a phone, including data backup, drive updates and the final rooting. The reason why I recommend this root app is that it’s super user friendly, which has a clean and simply user interface that even beginners without much computer knowledge can successfully root their One M8. Besides, AnyRooter guarantees your Android device will be well protected throughout the entire rooting process. The certified Android technicians can safely perform a number of different maintenance services for you. Whether you’re rooting, uprooting, or repairing Android, we will not damage your device or your data in any way. If we cannot safely root your device, we’ll provide a full refund. Guaranteed. 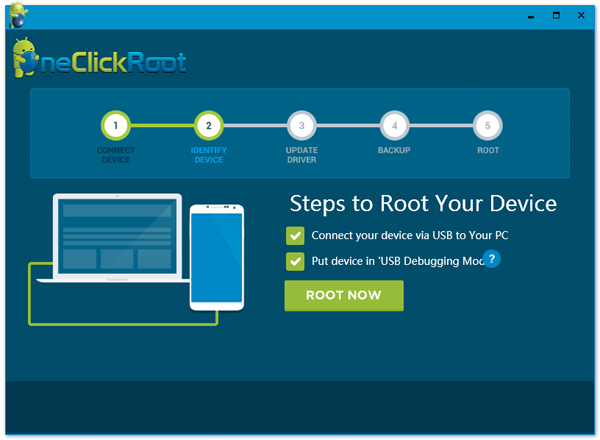 Root HTC One M8 with 1-click. Over 95% success rate on rooting. Compatible with Android OS from 2.0 to 6.1. Support 50+ network providers, including AT&T, T-Mobile, Sprint, Version, etc. Expert level live support available in 7/24. 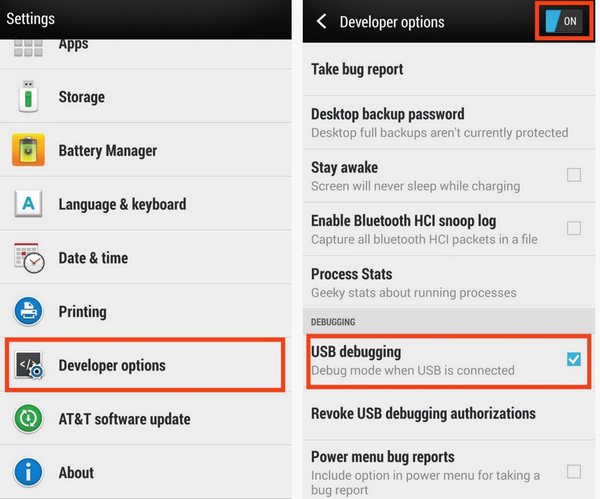 USB debugging is a useful functions to help your manage your Android device with a computer. Follow the following instruction to turn the function on One M8: go to Settings->More, then tap Build number seven times. This will enable Developer option on M8. Navigate back to settings and tap Developer Options. Check the box next to USB debugging. Then the function was turned on. Rooting is done much faster with a PC other than on a mobile device. Use the USB cable to connect your phone to the computer with Android Root installed. It will take a few seconds to let the computer recognize your device. When your phone was detected, click Root Now button to let the program make preparation for the rooting process, such as data backup, drive update, etc. When these are completed, the program starts to root your device with its sophisticated algorithms, which has a much higher success rate comparing to other rooting programs. Please be patient to wait the device being rooted and keep the device connected during this process. In fact, rooting your phone can now help improve your phone's power consumption, install and run custom ROMs, add a secure firewall to block unauthorized downloads or add multiple tweaks according to your own needs. Unfortunately, most people have shied away from rooting their smartphones, being afraid that they would brick the device. What if you had a reliable, secure, easy to use, fast and stable way to help root your device? There is one resource you can use to help achieve that end.